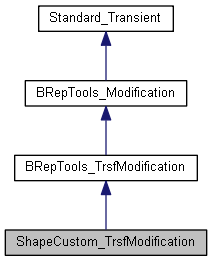 Complements BRepTools_TrsfModification to provide reversible scaling regarding tolerances. Uses actual tolerances (attached to the shapes) not ones returned by BRep_Tool::Tolerance to work with tolerances lower than Precision::Confusion. Calls inherited method. Sets <Tol> as actual tolerance of <E> multiplied with scale factor. Calls inherited method. Sets <Tol> as actual tolerance of <V> multiplied with scale factor. Calls inherited method. Sets <Tol> as actual tolerance of <F> multiplied with scale factor.